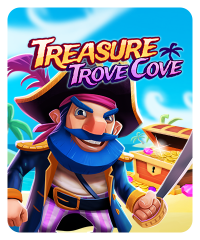 This is a pirate-themed slot machine that has a buried treasure bonus game. 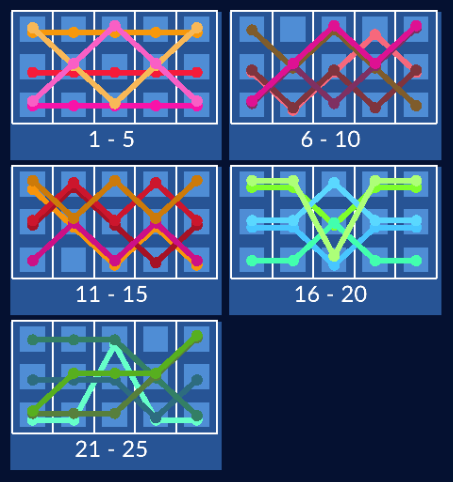 Hit three or more “Booty!” symbols to start the bonus game. 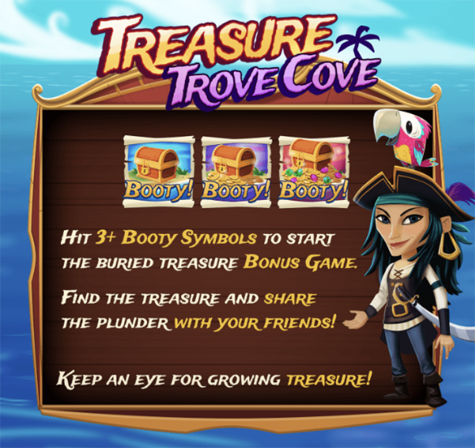 Find the treasure and share plunder with everyone in the room. 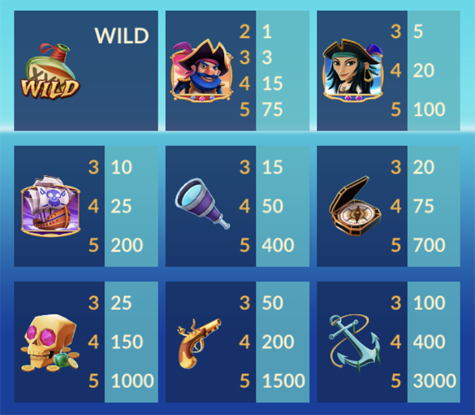 This game does not have a jackpot.